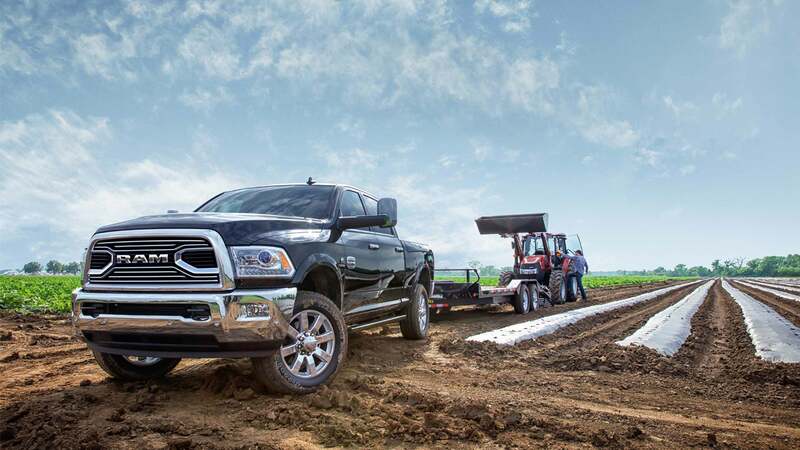 Combining heavy-duty capabilities with a comfortable and refined interior, the RAM 2500 has long been a top pick within its class. Available in several different cabin, bed-length and powertrain configurations, the 2500 is versatile and highly-customizable, so you can optimize what's important to you. In addition to hard-working utility, the 2018 2500 offers serious off-road ability with a specially-tuned Power Wagon model. All in all, the 2018 RAM 2500 is an appealing pick within the heavy-duty pickup segment. 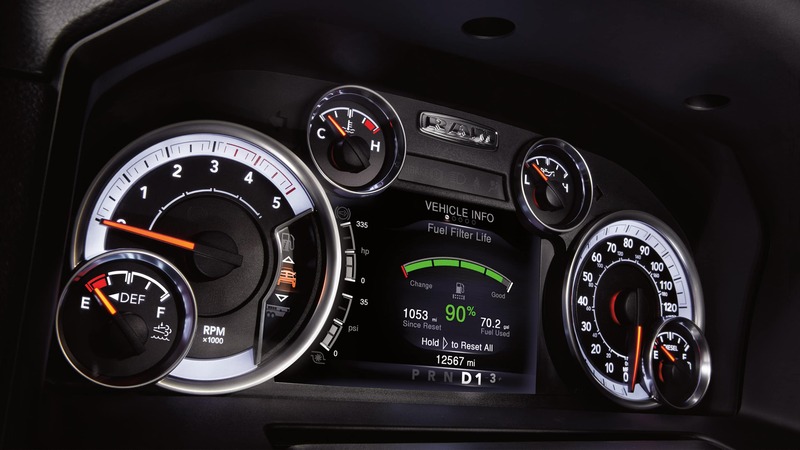 Read on to learn which version of this truck is right for you! What powertrain options do I have for the 2018 RAM 2500? Three engines are available for the 2018 RAM 2500. 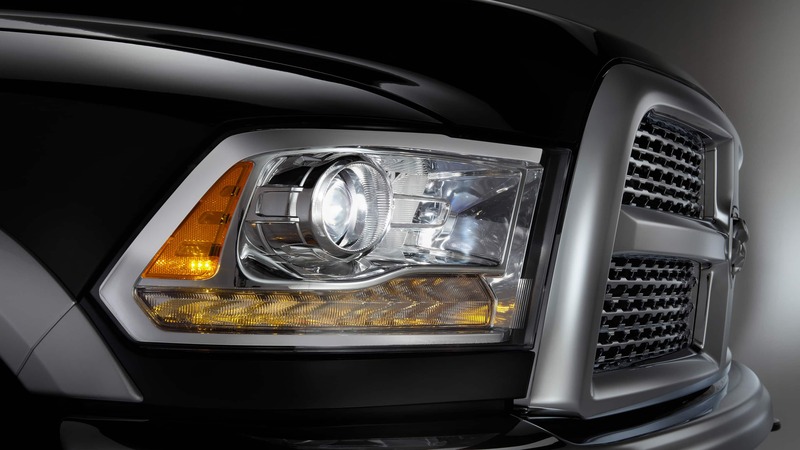 A 5.7-liter HEMI V8 with variable valve timing offers 383 horsepower and 400 pound-feet of torque. The 5.7L engine has a maximum payload of 3,060 pounds, and a maximum tow capacity of 13,890 pounds. For more power, buyers can opt for a larger 6.4-liter HEMI V8, which puts out a best-in-class 410 horsepower and 429 pound-feet of torque. With two spark plugs per cylinder, the 6.4L HEMI increases peak power and torque and reduces exhaust emissions. The maximum payload for this engine is 3,990 pounds, and the max tow capacity id 16,320 pounds. Finally, a 6.7-liter Cummins Turbo Diesel I6 engine rounds out the engine lineup. Featuring a class-exclusive smart diesel exhaust brake, the diesel engine puts out 370 horsepower and an incredible 800 pound-feet of torque. The diesel offers a maximum payload of 3,160 pounds as well as the 2500's overall maximum tow capacity of 17,980 pounds. Both gasoline engines come paired to a six-speed automatic transmission, but the Turbo Diesel is matched with a six-speed manual with a wear-compensating clutch. What body styles and trim levels are available for the 2018 2500? The 2018 2500 is offered in several body configurations, as well as 6 trims and the additional Power Wagon variant. 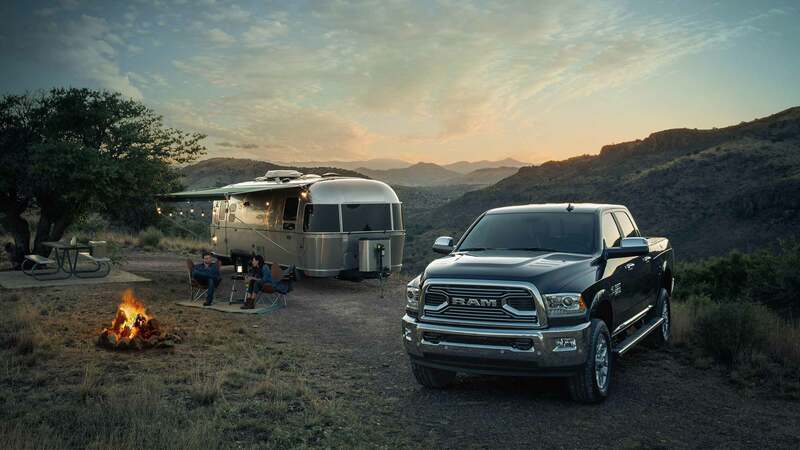 Body style options include three available cab (a two-door "regular" cab, four-door "crew" cab, and an extended four-door "mega" cab), as well as two bed lengths (the 8-foot "long" bed and the 6-foot-4-inch "short" bed). Available trims include the base Tradesman, the SLT, Big Horn (called the Lone Star in Texas), Laramie, Laramie Longhorn, and Limited. 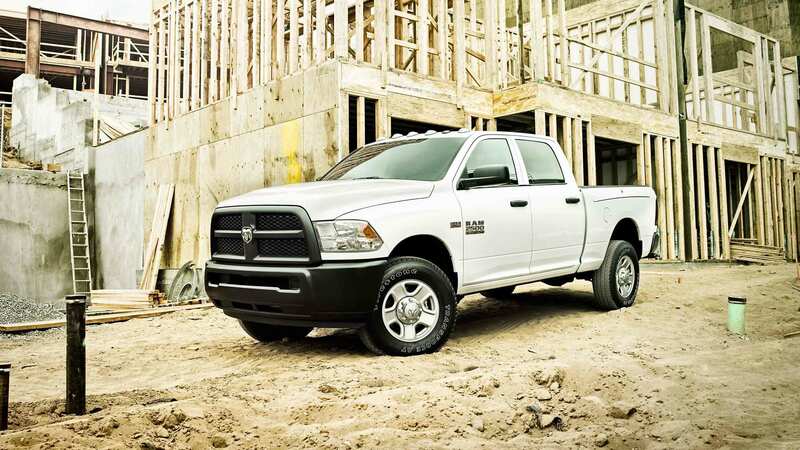 The Power Wagon variant can be ordered in either the Tradesman trim or the Laramie, and adds to their standard features with off-road equipment. 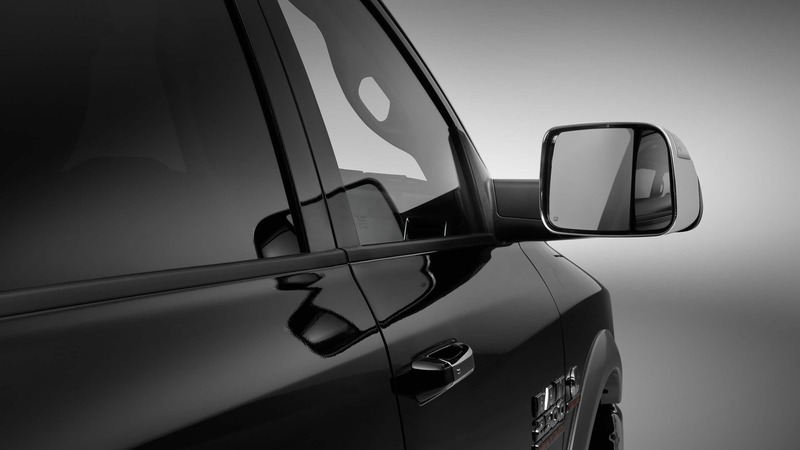 Standard features on the base Tradesman trim include automatic headlights, power windows and locks, heated power mirrors, a 40/20/40-split front bench seat, six-speaker audio, USB and auxiliary connectivity, and more. Moving up through other trims, additional features become available including a touchscreen interface (varying sizes, up to 8 inches), leather upholstery, heated and ventilated front seats, wood interior trim, remote start, a chrome mesh grille, keyless entry and ignition and much more. Can I take the 2018 RAM 2500 off road? The 2018 2500 is a workhorse, no doubt, but this heavy-duty pickup defies the all-work-no-play norm. With the available Power Wagon variant, the RAM 2500 can tackle tough off-road terrain, muddy trails, and any other adventures you plan to take. On the exterior, the Power Wagon is marked by unique matte black accents such as a headlamp filler panel and wheel flares, as well as a unique grille and tailgate. Mechanically, the Power Wagon stands out from the rest of the 2500 lineup with Bilstein off-road shock absorbers, skid plates, tow hooks, electronically-locking front and rear differentials, a manual transfer case, hill descent control, a front anti-roll bar, an integrated front winch and more. 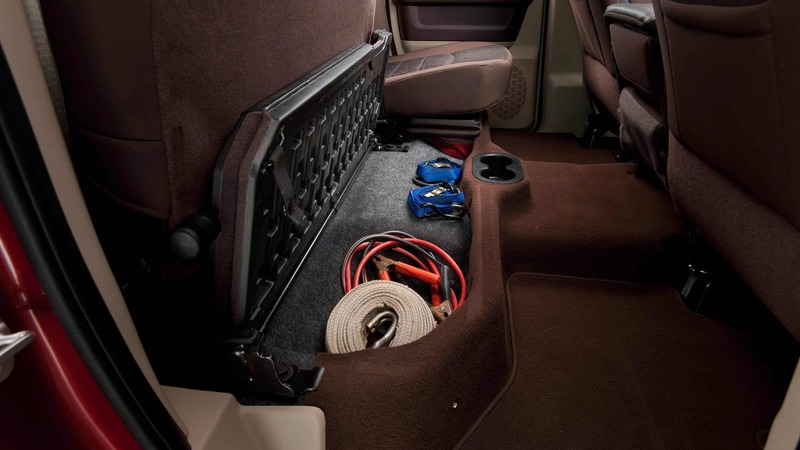 The Power Wagon is available as a standalone trim or as an add-on feature package to the Tradesman, which receives only some of the exterior design features but all the mechanical components. For those who want some off-road ability but don't need a vehicle as rugged as the Power Wagon, an Off-Road Package is available to add on to Crew and Mega Cab 4x4 models. 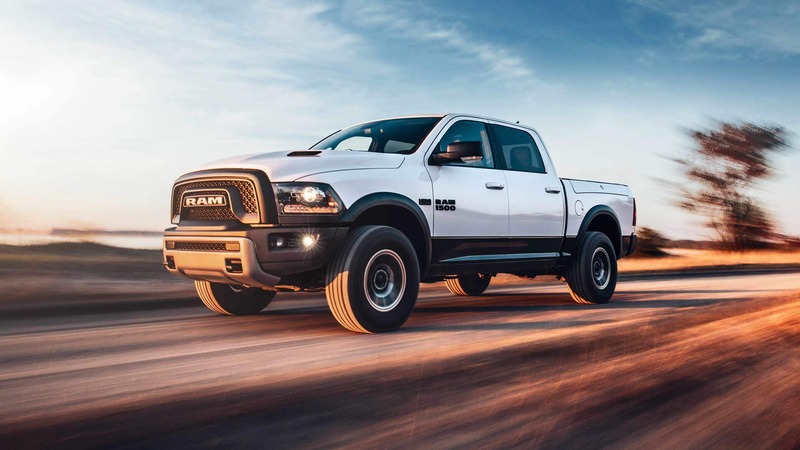 With serious utility, an impressive capacity for getting the job done, and a great lineup of off-road-ready features, the 2018 RAM 2500 works hard and plays hard. Among heavy-duty pickups, the 2500 is a worthy contender, and offers a great balance of rugged utility and refined comfort. If you're still not convinced, come on down to our lot today and let us get you behind the wheel of one. Then you can see for yourself how this truck might just be the perfect vehicle for you.